Located in Nagpur, Excellworld Holidays specializes in providing Cruise Services to travelers visiting Kerala. The Cruise Services provided by us give travelers a chance of traveling & staying on a Houseboat. A popular attraction among tourists, Houseboats is a wonderful way of seeing the ever famous Kerala Backwaters. With the Cruise Services provided by us, guests are guaranteed a memorable experience that will add to the beauty of their trip. Our Cruise Services are well organized where the comfort of the clients is given utmost importance. 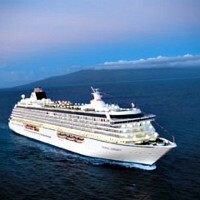 We also cater to the specific demands of the clients with respect to Cruise Services.